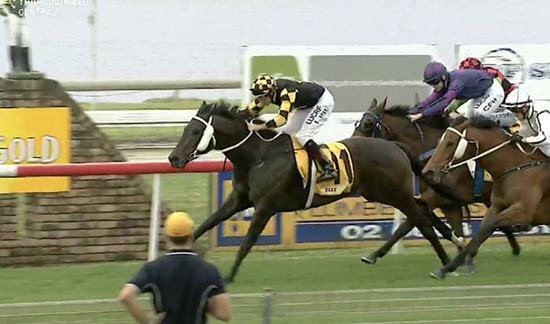 Talented youngster, Champagne Vega lived up to the hype surrounding him with a solid win at Ballina on Sunday. Despite being well beaten at his previous start, where everything seemed to go wrong, the three year old son of Lope De Vega was able to turn things around and get his first win on the board. Ridden by Luke Rolls, Champagne Vega was positive out of the gates and settled in the the one out, one back, position. He peeled off the leader's backs on the home turn and kicked strongly in the straight to score by half a length. Raced by the Grand Syndicates team, Champagne Vega was purchased at the Magic Millions yearling sale in January for just $25,000, as part of their 'double grand' initiative.